This is where it all started. Last weekend, Ella picked out a little book for me to read to her. Taylor can read by himself, but always sits in on a story if he is in the room. 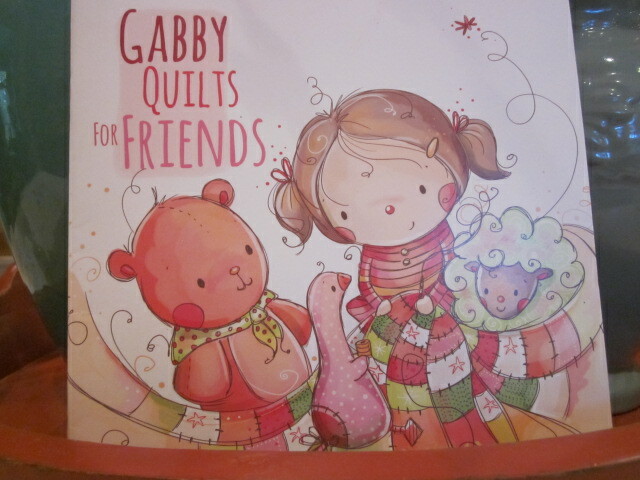 I picked this little book up a few years ago at Quilt Haven on Main here in Hutchinson. 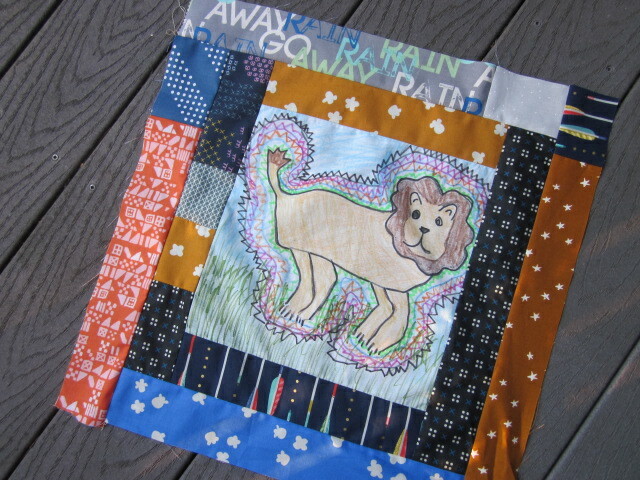 When we finished the little story, we decided they should draw pictures on fabric and I would put them in a quilt. They had lots of questions on how this might all work. I know they have never thought about how the quilts they have were made…why would they. The quilts just magically appear on their beds. I went through a brief explanation and they got very excited about participating. However, one quilt led to two quilts because they both had very specific color preferences. And, we know, there is no shortage of fabric, so two it is. When Neil and I returned home from the cabin, I organized some fabrics for both quilts and prepared 12″ squares of white cotton for them to start their drawings. 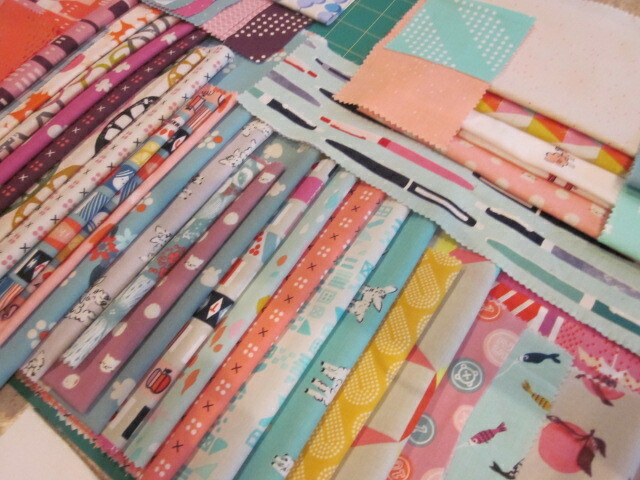 I plan on cutting them down to 10-1/2″ blocks and then sewing pieced borders around the blocks. 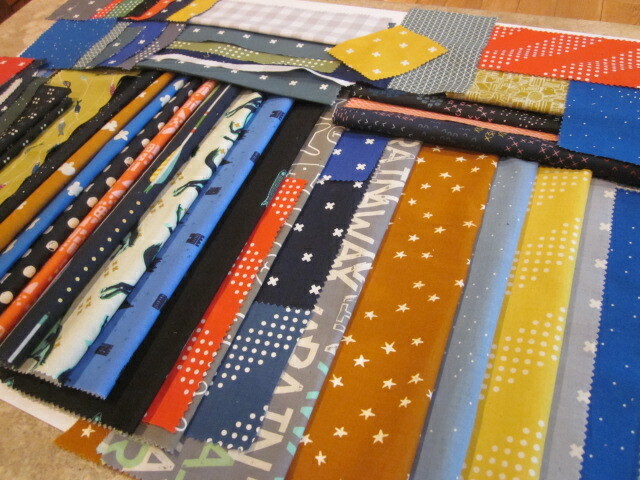 I’m using scraps from the collections of Cotton+Steel that I have been working with on an upcoming project. They are colorful, bright and whimsical, just like their pictures will be. I taped the squares onto cardboard so the fabric would be taut and easy for them to handle. They are using both textile markers (Target) and crayons. The markers are good for drawing and the crayons are good for filling in. If crayons are used, layer the picture block, right side down on a few layers of paper toweling. Press with a iron set on the cotton setting without steam. Iron to remove the wax. The dye will remain. Both Ella and Taylor love art projects and I think they will really enjoy doing this as long as I move quickly with the sewing which will keep them interested in the project. I always have the week between weekend visits to sew and can have blocks finished by the next time I see them. This is a great rainy day at the cabin project, and we have our fair share of them over the summer, especially in June. Here is one I worked on today so I have something to show them on Friday night. I’ll work on one of Ella’s blocks tomorrow so they both have one done for their own quilt. I will keep you posted on our progress and definitely will post the finished project. I have a feeling this one is going to move quickly. 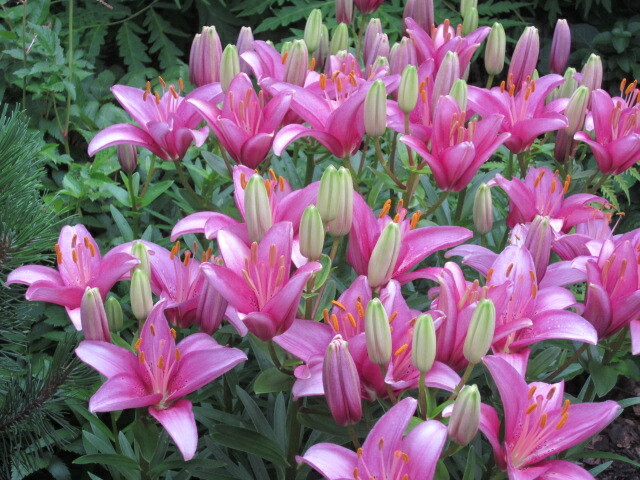 Garden Update…this is what’s blooming in my yard this week….Asiatic Lilies. 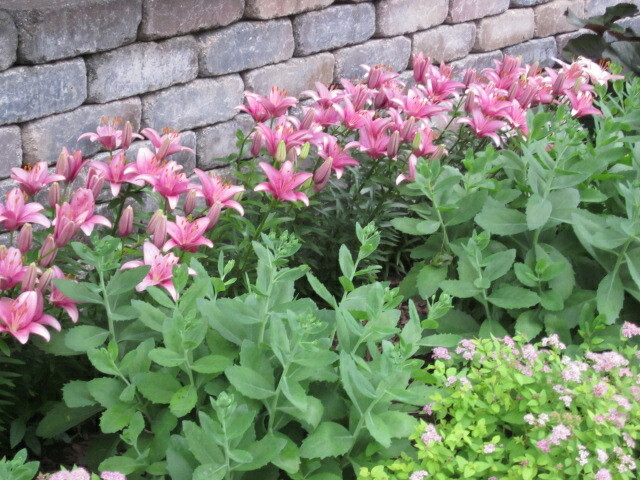 I have this same variety along a wall at the edge of the front courtyard. It’s always so fun to look out one morning and see “the show”. Your quilt patterns are timeless. 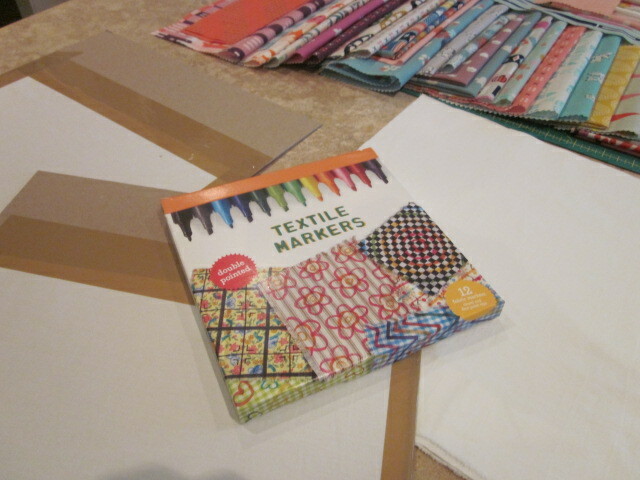 I tell all my student that your books are for their long term quilt library. 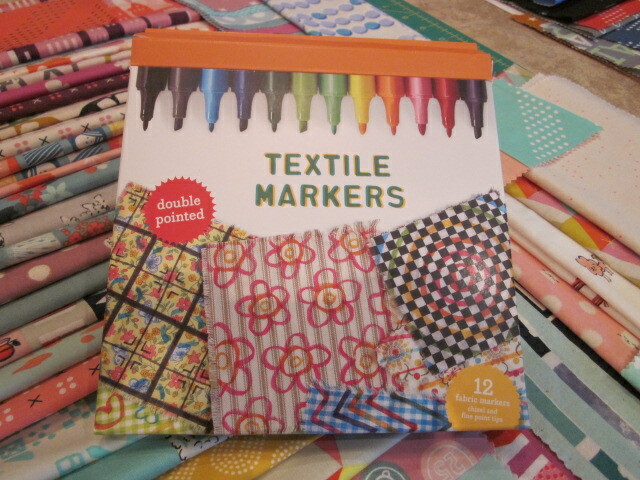 We will go back to them and do another pattern! Another great project to do this summer with my 2 granddaughters at Nana camp. I am lucky to have my girls a few weeks this summer and they love crafts. Last year we made skirts from t-shirts, they sewed pillows, finger knitting and made many bracelets from rubber bands. Your lilies are beautiful.. I think mine have another week until they bloom. Thanks Lynette.